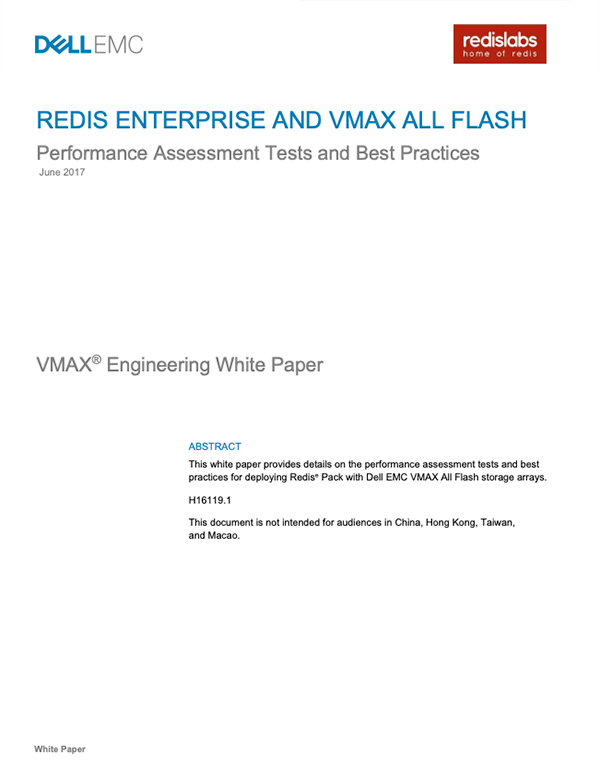 This benchmark demonstrates how fast Redis Enterprise can process full ACID transactions when connected to an EMC VMAX storage array. Enhancements in Redis Enterprise, such as a greedy AOF algorithm or the ability to run an all-master cluster, allow for extremely high throughput at sub-millisecond latencies. When coupled with an EMC VMAX all flash storage array, the benchmark measured over 660K ops/sec on the standard 1:1 read/write use case with 100B item_size, and only slightly lower throughout (i.e. 640K op/sec) on the write-intensive scenario. Download to learn more about results seen with larger item sizes and in write-intensive scenarios.